The "K-pistol" of the Mark 6 used a copper antenna which extended upwards to just below the surface. This was connected by a relay to a copper plate on the outside of the mine. 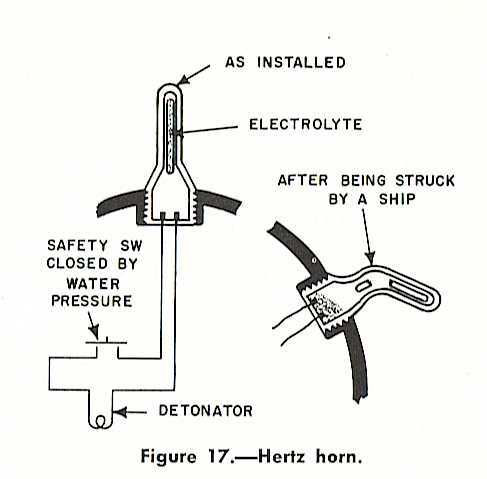 Seawater acted as the electrolyte of a battery which would be formed when a ship with a steel hull approached and touched the antenna. The current running down the antenna operated the relay and exploded the mine. This method allowed each mine to cover a wider area, meaning that fewer mines could be used to cover a given area than with the horn type. 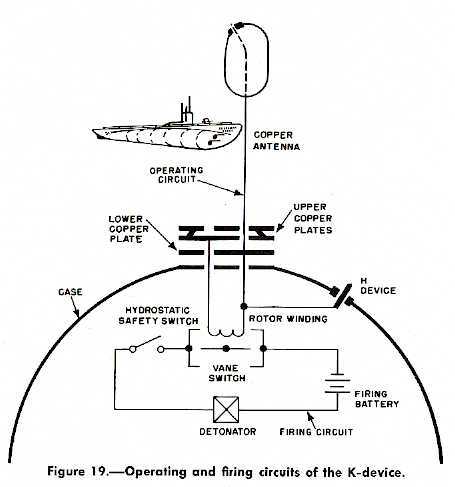 In modern terms, the "K" device exploited the Underwater Electric Potential (UEP) effect. Magnetic triggers were originally only used on ground (bottom) mines. This is because, if they were moored, the changing of the magnetic field as they rose and fell with the tide would set them off. Near the end of World War II, a trigger that measured the total field around the mine was developed. This device added up the fields in such a way that the tides did not affect it. Acoustic mines measure sound of certain frequencies, usually those of propeller, engine and sonar noises. Pressure detector fuzes measure the pressure wave created by a ship moving through the water. These were simultaneously developed by both Germany and the USA during World War II, but both held off deploying them for fear that the technology would be captured by the other side. They were first used in combat off the Normandy beaches and were heavily used against the Japanese home islands near the end of the war. The table at right shows mine outfits as given in "US Warships of World War II" by Paul Silverman. Other sources differ, but I believe that these are the "official" numbers. There were also some ex-mercantiles and former Army "mine-planters" listed, but no mine outfit numbers are given for these ships. However, USS Salem (CM-11) is recorded as having laid 202 mines off Casablanca on 27 and 28 December 1942. USS Argonaut (SS-166) was converted to a transport submarine immediately following the attack on Pearl Harbor and apparently never laid a mine under combat conditions. The widely used and long-lived (1917 to ca. 1985) Mark 6 "K-pistol" mine was relatively easy to deploy and did not require specialized minelayers. See the picture below of the tug USS Ute (ATF-6) being used to launch one of these mines. This ease of use by non-specialized mine ships is one of the reasons that there were so few dedicated mine-layers in the USN and why many of the smaller coastal minelayers were converted for other duties. Conventional submarines were also used as minelayers. In 1943, they could carry eleven Mark 10 or Mark 12 mines in place of three torpedoes and many mini-minefields were laid as a result, some quite effectively. But the most common mine-layers during World War II were aircraft. After World War II, aircraft have been the predominant US minelayers, as shown in the tables below. There are a few submarine-launched mines in the inventory, with at least one new one, ISLMM recently placed in service. 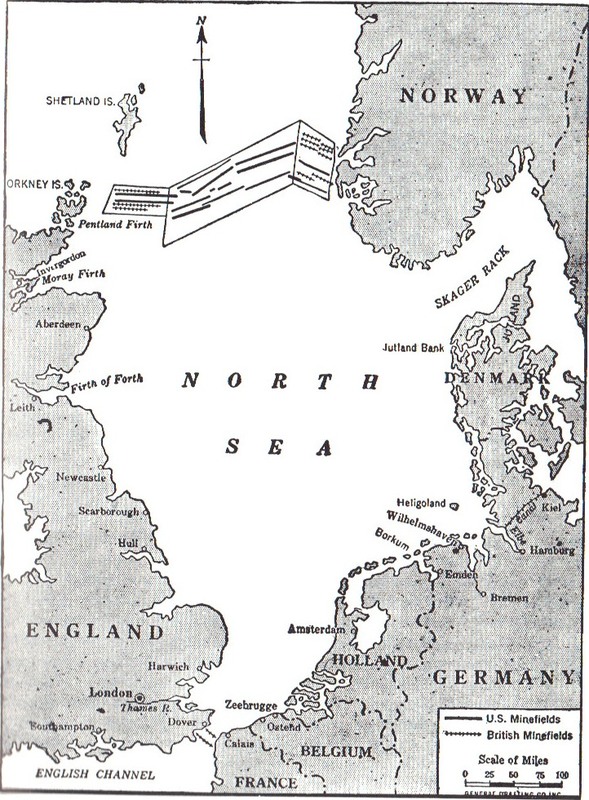 United States ships planted 56,611 mines and the British laid an additional 16,300 as part of the North Sea Mine Barrage. These sank at least six U-boats and damaged another half-dozen seriously enough that they were forced to return to base. It has been suggested that the cost / benefit ratio of the Barrage was grossly in favor of the Germans. 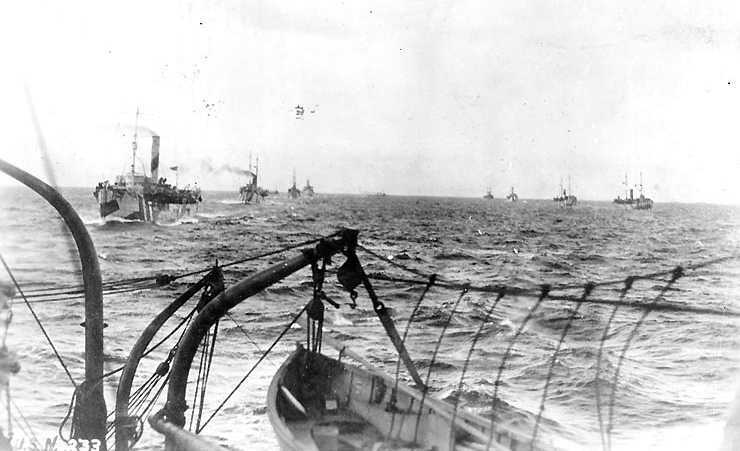 US Minelayers in the North Sea in 1918. U.S. Naval Historical Center Photograph # NH 41736. As far as is known, no enemy ship was sunk by the approximately 20,000 mines used in defensive minefields placed in US waters. US submarines planted a total of 576 Mark 12 mines and 82 Mark 10 mines in 36 fields. Of these, 421 mines planted in 21 of the fields sank 27 ships of about 63,000 tons and damaged 27 more of approximately 120,000 tons. See US Submarine Mining Success for other information. 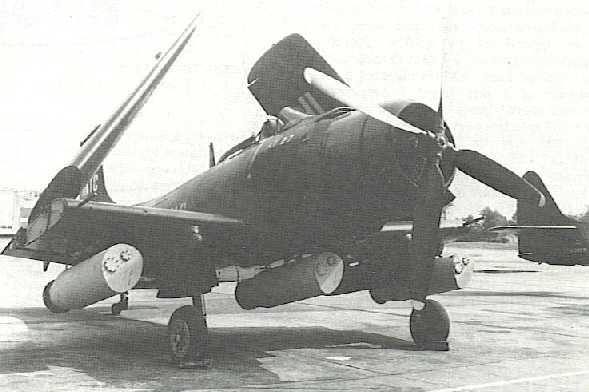 Avenger and Ventura aircraft could carry a single mine and in 1944 Avengers closed Palau harbor by mining the entrances. They then sank all 32 ships in the harbor with conventional bombs and torpedoes. A total of approximately 100 ships were sunk or badly damaged in the Pacific during the war by mines laid by Navy aircraft. By 1945, the Army Air Force was devoting considerable resources to the mining role, with 80 to 100 B-29s based at Tinian being used to mine the home waters around Japan. These B-29s could carry seven 2,000 lbs. (907 kg). or twelve 1,000 lbs. (454 kg) mines. Starting in March 1945 and continuing until early August, 4,900 magnetic, 3,500 acoustic, 2,900 pressure and 700 low-frequency mines were laid. These mines sank 294 ships outright, damaged another 137 beyond repair and damaged a further 239 that could be repaired. In cargo tonnage, the total was 1.4 million tons which was about 75% of the shipping available in March 1945. Between January and March 1945, B-29s also closed the approaches to Singapore, Saigon and Camranh Bay harbors by magnetic mining. Designation assigned 1905. Spherical moored mine 43 inches (109 cm) in diameter. Used an inertial exploder of the pendulum type. Total weight 1,265 lbs. (574 kg) with a charge of 250 lbs. (113 kg) of wet gun cotton. 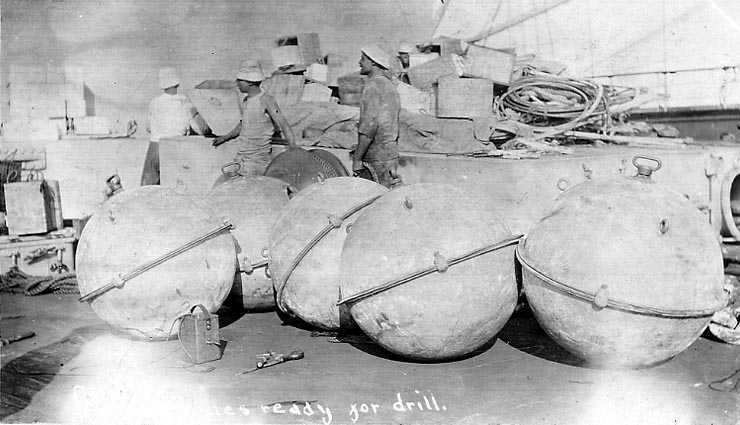 These may be Naval Blockade Mines on an unidentified US warship about 1909. Caption reads "Mines Ready for Drill". U.S. Naval Historical Center Photograph # NH NH 101471. Spherical mine 34 inches (86 cm) in diameter. Used an inertial pistol. Designed by the French firm Sauter-Harle. 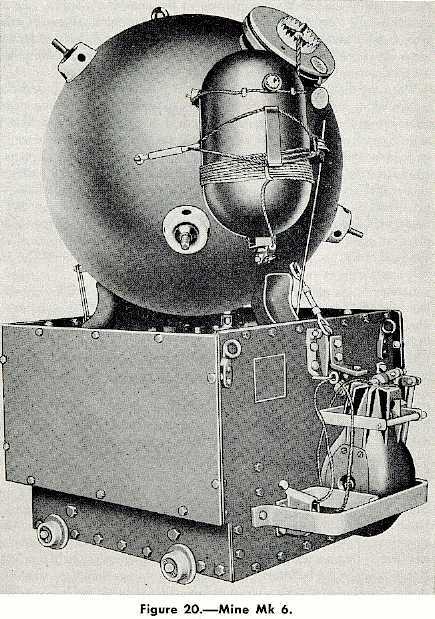 Spherical mine with a charge of about 175 lbs. (79 kg) of wet guncotton. Used contact-inertial exploder. In service about 1909. British Vickers design. Spherical mine about 30 inches (76 cm) in diameter with a 120 lbs. (54 kg) TNT burster. 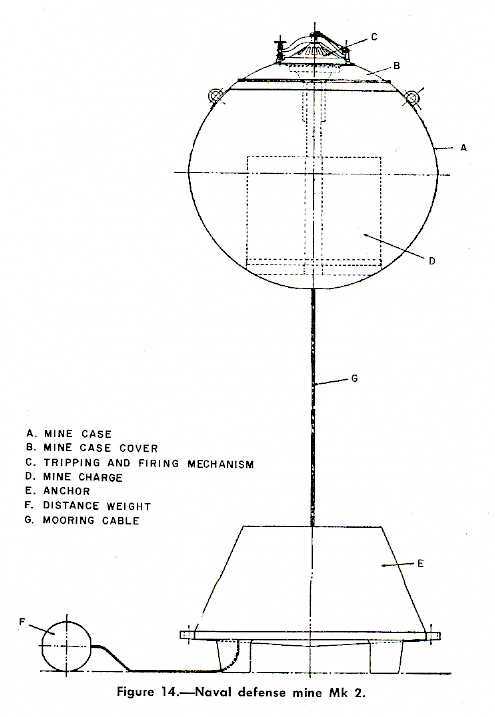 Used a protruding float made of cork, 3 feet (0.91 m) long, for inertia ignition - contact with a ship made the mine rotate relative to the float. Launched from trolley rails. Production started around 1915 and by 1917 the Portsmouth Navy Yard was manufacturing 140 of these per week with plans to ramp up production to 500 per week. Similar to the Mark 3 but larger, 33 inches (84 cm) in diameter with a 250 lbs. (113 kg) TNT burster. First USA designed mine. Moored type with Hertz horns. Still in use during World War II. 1,700 lbs. (771 kg) total weight, charge of 500 lbs. (227 kg) TNT. Spherical antenna type using a K-type pistol, 34 inches (87 cm) in diameter. This mine was designed specifically for the North Sea Mine Barrage of World War I. However, as shown above, it was still being used operationally as late as 1978. 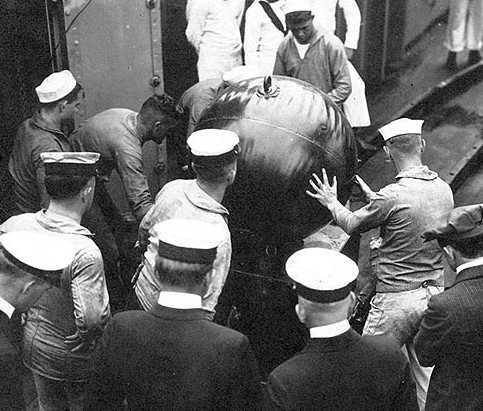 On 17 October 1917, the Secretary of the Navy authorized the construction of 100,000 mines of this type at a cost of $40,000,000 (40 million dollars). By the early summer, these were being produced at a rate of 1,000 a day with a peak of 1,500 being produced in one 24 hour period. In order to support this rate of manufacture, the Navy built its own TNT factory at St. Julien's Creek, Virginia, capable of producing 300,000 lbs. (136,000 kg) of TNT per day. The Mark 6 was very successful and remained in US inventories until about 1985, making it the USA's longest-lived mine. 1,400 lbs. (635 kg) total, charge of 300 lbs. (136 kg) TNT. Could be moored in waters up to 3,000 feet (914 m) deep. Three safety devices were employed, one a time delay, one a hydrostatic which held a switch open until the mine had sunk several feet underwater and the third to keep the explosive steps open until the mine had reached a considerable depth. 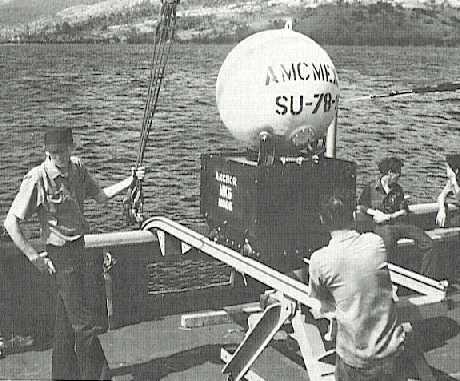 Mod 2 was a rising type, Mod 3 had a Mark 9 case with a 100 foot (30 m) lower antenna. Mod 4 had a Mark 6 case with a 50 foot (15 m) lower antenna. All of these had a few Hertz (acid) horns as a backup firing mechanism. Early units used in the North Sea Barrage had reliability problems, with 4 to 8 percent firing shortly after being planted. Mark 6 mine aboard USS Baltimore CM-1 about 1920. U.S. Naval Historical Center Photograph # NH 56330. Mark 6 mine. Shown being launched from USS Ute ATF-76 in Philippine waters in 1978. Originally, this designation was assigned to a moored magnetic mine which was not developed. Later, it was assigned to Drifting Mine Mark 7, which was based on the K-type pistol of the Mark 6. 943 lbs. (427 kg) total, charge of 525 lbs. (238 kg) TNT. Mod 1 was an oscillating mine. Surface-ship launched acoustic mine, not in service. Similar to Mark 6 with a very sensitive detonator. Not in service. Moored contact mine for firing from 21 inch (53.3 cm) torpedo tubes. This project was started in 1921, halted for a time, and then resumed. 1,760 lbs. (798 kg) total, charge of 300 lbs. (136 kg). Mod 1 was contact fired, Mod 2 was cancelled, Mod 3 was magnetic and weighed 1,800 lbs. (816 kg) with a charge of 420 lbs. (190 kg) of TNT. Mod 5 was an aircraft dropped version of Mod 2, cancelled. Mod 6 and 8 were parachute versions of Mod 3 and were replaced by Mod 9, all of these weighed 1,850 lbs. (839 kg) with a charge of 420 lbs. (190 kg) of TNT. Mod 7 was Mod 3 modified for PT boat launch. Mod 11 was a moored contact mine specifically developed for the USS Argonaut (SS-475) and weighed 1,900 lbs. (862 kg) with a charge of 500 lbs. (227 kg) TNT. K-type pistol mine specifically developed for the USS Argonaut (SS-475) and weighed 1,875 lbs. (850 kg) with a charge of 500 lbs. (227 kg) TNT. Argonaut had special 40 inch (102 cm) tubes for launching these mines and could carry 65 to 70. However, she never laid any of these during the war, as she was redesigned early in 1942 as a cargo carrier and was sunk in 1943 by the Japanese. Submarine launched mine. Unlike the Mark 11, the Mark 12 was designed to be launched from a standard 21" (53.3 cm) torpedo tube. Cylindrical with an aluminum case, this mine was developed in the 1920s from German S-type mines. Dimensions were 20.8D x 94.25L inches (52.8 x 239.4 cm). Weighed 1,445 lbs. (655 kg) with a 1,100 lbs. (499 kg) TNT charge or 1,595 lbs. (723 kg) with a 1,250 lbs. (567 kg) Torpex charge. 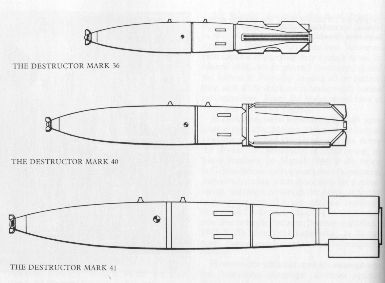 Mod 1 was parachute mine, Mod 3 was a submarine type and Mod 4 was a replacement for Mod 1. Some of these mines were delivered to Manila just before the start of World War II. They were dropped into deep water to prevent capture. Air-dropped mine with magnetic pistol. Did not use a parachute and could be used as a bomb. 1,048 lbs. (475 kg) total with a charge of 640 lbs. (290 kg) TNT or 1,118 lbs. (507 kg) total with a charge of 710 lbs. (322 kg) Torpex. 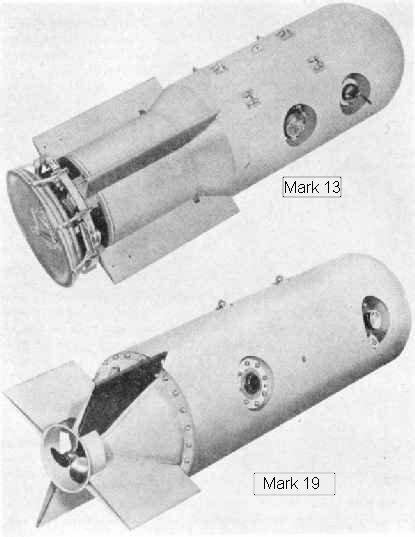 Aircraft Mines Mark 13 and Mark 19. Air-dropped mine with K-pistol. Not in service. Air-dropped ground mine with acoustic pistol. 900 lbs. (408 kg) total with a charge of 500 lbs. (227 kg) TNT. 19 x 80 inches (48 x 203 cm). Production stopped in 1944. New antenna mine intended to replace the Mark 6. Total 2,040 lbs. (925 kg) with a charge of 600 lbs. (272 kg) Torpex. Mod 2 was an acoustic mine. Submarine laid ground mine with magnetic triggering. Not clear if this was actually in service during the war. Total 1,825 lbs. (828 kg) with a charge of 1,375 lbs. (624 kg) Torpex. Mod 1 became the Mark 25. A sensitive magnetic fuzed ground mine laid by surface ships. Total 2,040 lbs. (925 kg) with a charge of 1,350 lbs. (612 kg) Torpex. Drifting, oscillating mine laid by Army aircraft with a C-4 mechanism. Mod 2 was for Navy use. Total 550 lbs. (249 kg) with a charge of 190 lbs. (86 kg) Torpex. Controlled mine (triggered from shore, coastal defense type). Total 435 lbs. (197 kg) with a charge of 300 lbs. (136 kg) TNT (?). An assembly of sealed mechanisms for use with various explosive charges. Magnetic fuzed, total weight of 27 lbs. (12 kg). Defensive ground magnetic mine requested by the Marines for island defense. Abandoned due to changing circumstances and stopped by the CNO in 1944. Used an M-8 mechanism. Total 425 lbs. (193 kg) with a charge of 160 lbs. (73 kg) TNT. Anti-sweep mine. Anchored with a moored float and a small explosive charge. Total 1,125 lbs. (510 kg) with a 2 lbs. (0.9 kg) charge (not a misprint). In service 1944. Note: Anti-sweep mines are usually scattered in a mine field along with normal moored mines. Anti-sweep mines are designed to have a very small positive buoyancy. When the wire of a mine sweeper hits the mooring wire of the anti-sweep mine, the anti-sweep mine will sink down until it hits the sweep wire. The anti-sweep mine will then detonate and cut the sweeping wire, thus ending the sweeping operation. Homing ASW torpedo also known as "Fido". Aircraft laid magnetic mine. Mod 1 had A5 acoustic trigger, Mod 2 had A6 pressure trigger and Mod 3 also had an acoustic trigger. Depending upon the flight gear, these were 22.4D x 87.2-93L inches (56.9D x 221.5-236L cm) and weighed 1,950-2,000 lbs. (885-907 kg) with a charge of 1,274 lbs. 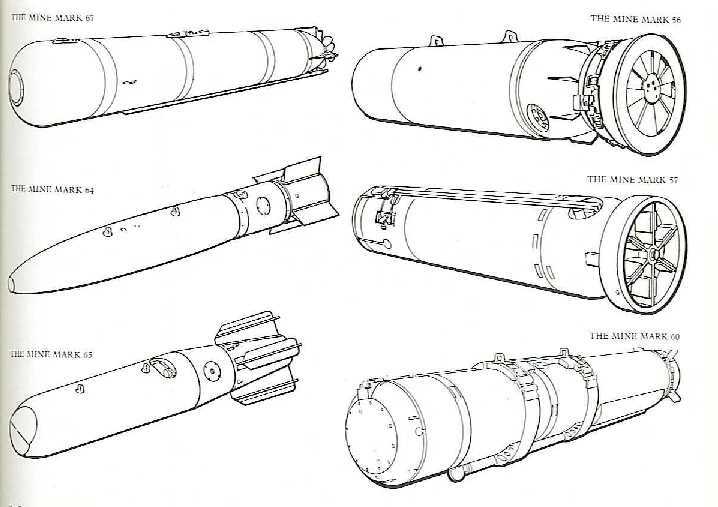 (578 kg) Torpex, HBX or TNT. Mark 25 Mod 2 mines. AD-2 Skyraider at Patuxent River in 1949. Aircraft laid magnetic mine. It is not clear how much these were used during the war. Total 1,000-1,072 lbs. (454-486 kg) with a charge of 465 lbs. (211 kg) TNT or 520 lbs. (236 kg) Torpex. Submarine launched mobile ground mine. 21D x 246L inches (53D x 625 cm). Range 4,500 yards (4,100 m) at 10.5 knots. Charge of 877 lbs. (398 kg) Torpex. Sabotage mine. Design not finished. Total 10 lbs. (4.5 kg) with a charge of 5 lbs. (2.2 kg). An explosive-filled towed hose intended for merchant vessels. About 400 feet (122 m) long. Similar to Mark 24 but launched by surface ships. Project cancelled. Moored mine containing a torpedo. Similar to the Mark 28 Torpedo. A navalized version of the US Army Bangalore Torpedo. Was a moored mine launched by small craft. Used a contact exploder. Total 22 lbs. (10 kg) with a 9 lbs. (4 kg) amatol charge. Failed acceptance testing and was not adopted for service use. Land mine for railroad sabotage. Apparently developed for special operations use; in 1945 the submarine USS Barb (SS-220) landed saboteurs who blew up a Japanese train. An improved Mark 26 Mod 1 with a larger explosive charge and a slanted nose for improved underwater trajectories. Total 1,024 lbs. (464.5 kg) with TNT charge of 570 lbs. (258.5 kg) or 1,082 lbs. (490.8 kg) with Torpex charge of 638 lbs. (289.4 kg). Magnetic fuzed using a MM2 exploder. Basic version was acoustic, Mods 2 was a low-frequency acoustic and Mod 3 was pressure activated. Mark 36 Mine. Mounted on an A-7 in 1966. Similar to the Mark 20 but used a Mark 7 Mod 0 depth charge casing. Shore controlled defensive mine. Total 738 lbs. (335 kg) with a 600 lbs. (272 kg) TNT charge. In service September 1944. Universal ASW torpedo. No details available. An aircraft launched magnetic mine. Could be dropped from a high altitude without a parachute. Total weight of 2,000 lbs. (907 kg) with a 800 lbs. (363 kg) TNT charge. May not have been in service until after the war. Practice mine for Mark 25. Constructed from empty 100 lbs. (45 kg) practice bombs. Practice mine for air launch. Simulating a 1,000 lbs. 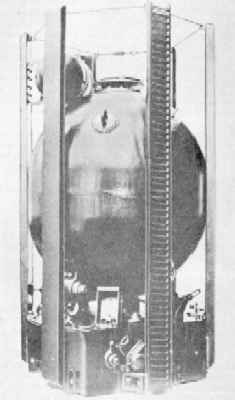 (454 kg) mine with parachute such as the Mark 26. Became the Mark 34 Torpedo. Oscillating contact mine, similar to the Mark 19. No data available. Small moored or drifting contact mine launched by small boats. Cancelled April 1945. Mark 27 type submarine launched bottom mine. Could be used as a torpedo. Submarine launched 2,000 lbs. (907 kg) mine. 21D x 120L inches (53.3D x 305L cm). Could also be air launched. Various Post-World War II Mines. 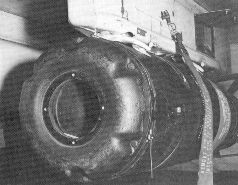 Aircraft launched acoustic ground mine. Size of Mark 82 500 lbs. (227 kg) bomb. Controlled mine for harbor defense. 1,000 lbs. (454 kg) ground mine of new design series. Mod 1 acoustic fuzed, Mod 2 magnetic, Mod 3 combined pressure and magnetic, Mod 4 was not issued, Mod 5 combined acoustic and magnetic, Mod 6 combined acoustic, magnetic and pressure. All variants are 18.8D x 70.2L inches (48 x 178 cm). Weights are respectively 1,130 lbs. (513 kg), 1,170 lbs. (531 kg), 1,190 lbs. (540 kg), 1,200 lbs. (544 kg) and 1,235 lbs. (560 kg). Charge for all was 625 lbs. (284 kg) HBX-1. All Mods use identical mine cases and removable instrument racks so that the firing assemblies can be stored apart from the explosives. 500 lbs. (227 kg) sweep obstructor. Air launched 2,000 lbs. (907 kg) class bottom mine. 23.4D x 89.9L inches (59D x 228L cm). Mods 1 through 6 correspond to Mark 52 Mods 1 through 6 except for the weight. Mod 7 is unique to the Mark 55 and used an improved dual-channel magnetic firing mechanism. Weights were respectively 2,039 lbs. (925 kg), 2,110 lbs. (957 kg), 2,120 lbs. (962 kg), 2,119 lbs. (961 kg), 2,128 lbs. (965 kg) and 2,118 lbs. (961 kg). 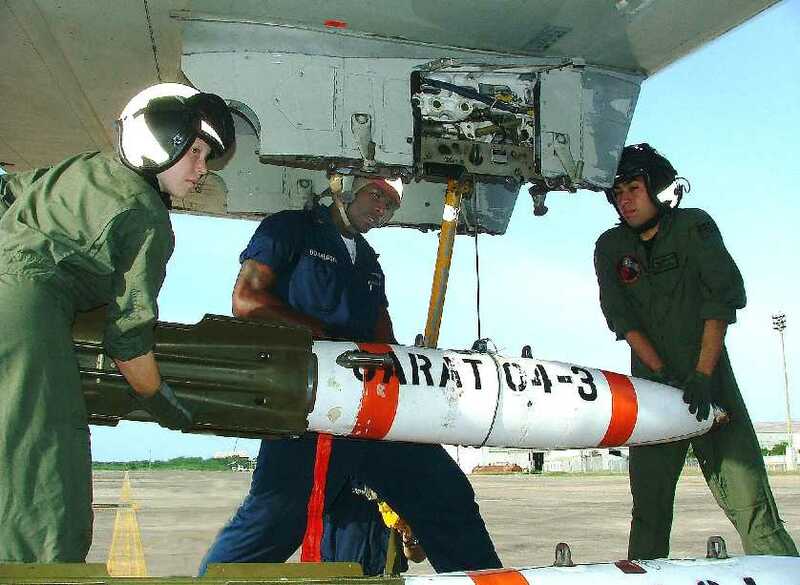 Mark 55 Mines on an A-7 aboard the USS Coral Sea CVA-43. These mines were dropped as part of the Haiphong Harbor mining of 1972. Air launched 2,000 lbs. (907 kg) class moored mine. 22.4D x 114.3L inches (56D x 290L cm). Actual weight 2,135 lbs. (968 kg) with a charge of 360 lbs. (163 kg) HBX-3. First deployed in 1966 and still active as of 2001. Similar to the submarine launched Mark 57. Uses a "Total Field" magnetic exploder. 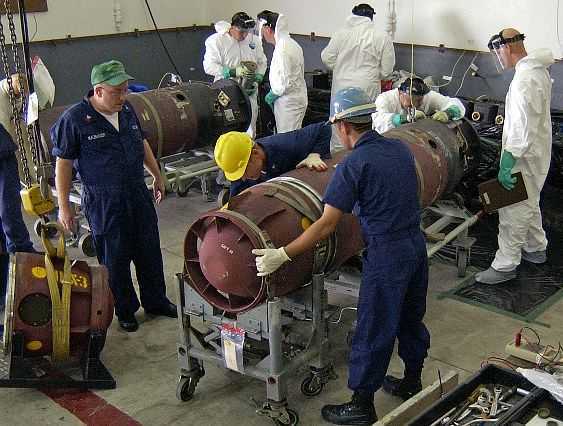 Attaching the warhead to a Mark 56 Moored Mine while other Sailors in protective suits work with the chemicals in the anchor section of the device. U.S. Navy Photograph 040324-N-7293M-104. Submarine launched magnetic moored mine. 21D x 121.1L inches (53D x 308L cm). Weight 2,059 lbs. (934 kg) with a charge of 340 lbs. (154 kg) of HBX-3. Can be mined in water up to 200 fathoms deep. Fiberglass case with a steel anchor. Air launched bottom mine. Apparently not approved for service use. Evaluated in 1962. Moored mine 800 lbs. (363 kg) with a charge of 70 lbs. (32 kg). Mod 2 was 1,500 lbs. (680 kg) with 100 lbs. (45 kg) charge. CAPTOR (encapsulated torpedo mine). Uses Mark 46 Mod 4 torpedo with aluminum case. Can be launched by aircraft, surface ships or submarines. Uses Reliable Acoustic Path (RAP) sound propagation method to detect target ships and designed to be used in deep water. First deployed in 1979 and still active as of 2001. Aircraft / Ship laid: 21 x 145 inches (53 x 368 cm) (includes length of parachute). Submarine laid: 21 inches x 132 inches (53 x 335 cm). Weight: Air / Ship laid: 2,370 lbs. (1,077 kg); Submarine laid: 2,056 lbs. (935 kg). 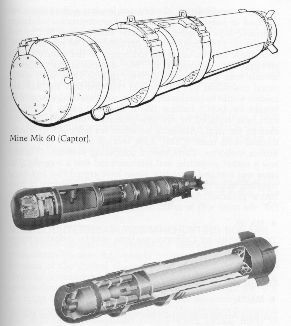 Mark 60 CAPTOR Mine with Mark 46 Torpedo. Photograph courtesy of Goodyear Corporation. Mark 60 CAPTOR Mine being readied for loading onto a B-52G in November 1989. U.S.A.F. Photograph No. DF-ST-90-11649. Advanced modular warhead 500 lbs. (227 kg). Superseded Destructor EX-41. Conversion of Mark 82 [500 lbs. (227 kg)] bomb. Superseded Destructor EX-52. Marks 62, 63 and 64 are known as the "Quickstrike" series and have a variable influence target designation system that can be used against either land or sea targets. Quickstrike was conceived as a new series of ground mines, replacing the ones that had become compromised as a result of the Vietnam War. 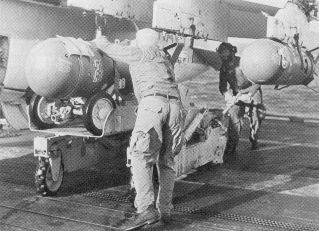 These new mines use the same design concept as do "smart" bombs, that is, they are simple bolt-on additions to a standard air-dropped bomb. Quickstrike's design emphasizes ease of maintenance and ease of mine preparation for use. For example, the older mines required refrigeration of their batteries to prolong life, the Quickstrikes do not. Loading Mark 62 mines aboard a P-3C Orion Patrol Aircraft in July 2004. U.S. Navy Photograph 040705-N-1050K-001. Conversion of Mark 83 [1,000 lbs. 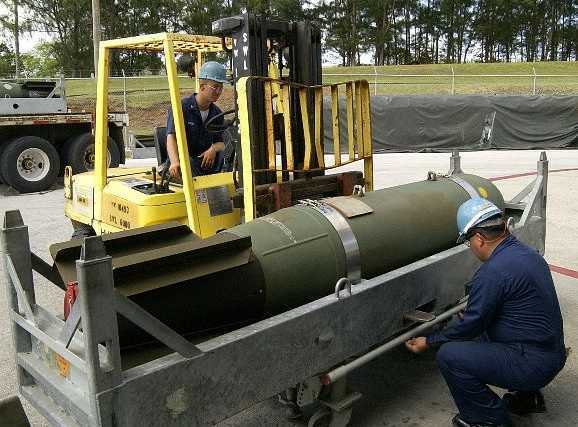 (454 kg)] bomb. Superseded Destructor EX-53. Mark 63 "Quickstrike" Mine. USS John C. Stennis (CVN 74) in November 2003. U.S. Navy Photograph 031104-N-1573O-036. Conversion of Mark 84 [2,000 lbs. (907 kg)] bomb. Superseded Destructor EX-54. The latest in the "Quickstrike" series, but this weapon is not a bomb conversion and was first deployed in 1983. Magnetic/seismic/pressure target detection devices (TDDs) are used on various models. Dimensions: 29 inches (across the fins) x 128 inches (74 x 325 cm)"). Mark 65 Quick Strike Mine prior to final assembly on Guam in March 2004. U.S. Navy Photograph 040323-N-7293M-143. Submarine Launched Mobile Mine (SLMM) with magnetic/seismic or magnetic/seismic/pressure triggers. Converted from Mark 37 torpedo. Introduced into service in 1987. Dimensions: 19 x 161 inches (48.5 x 409 cm). Weight: 1,658 lbs. (754 kg). Explosives: 510 lbs. (230 kg) of high explosive. Proposed rocket propelled moored rising mine (PRAM). 1,765 lbs. (801 kg) total weight. Project cancelled in September 1978. Training shape for California seal lions used for ordnance recovery. Exercise and training mine used for Mine Mark 52. Training device used to duplicate the trajectory of Destructor Mark 40 (see below). Training device for Mine Mark 56. Training device for Mine Mark 53. USN designation for British VEMS (Versatile Exercise Mine System). 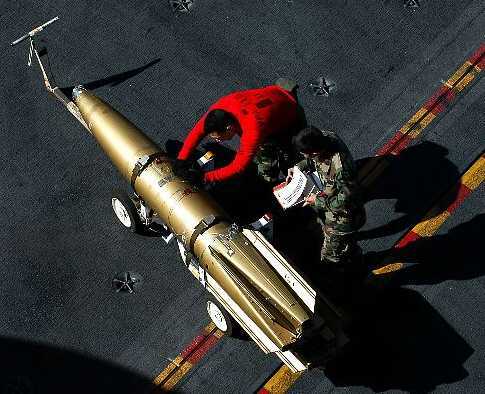 This is a joint effort between the United States Navy and the Royal Australian Navy intended to replace the obsolescent Mark 67 SLMM (see above). The program would convert Mark 48 torpedoes into dual warhead mobile mines. Each dual warhead would be equipped with the Target Detection Device (TDD) Mark 71. The TDD Mark 71 provides advanced mine algorithms for ship detection, classification and localization against some of the emerging threats (i.e., quiet diesel-electric submarines, mini-subs, fast patrol boats, air cushioned vehicles) that are likely to be encountered in future conflicts. 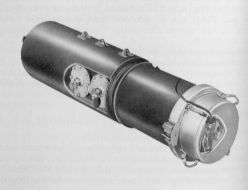 The ISLMM would retain the propulsion and wire-guidance of the Mark 48, thus allowing this torpedo/mine to be launched from a remote location and then guided to its destination. 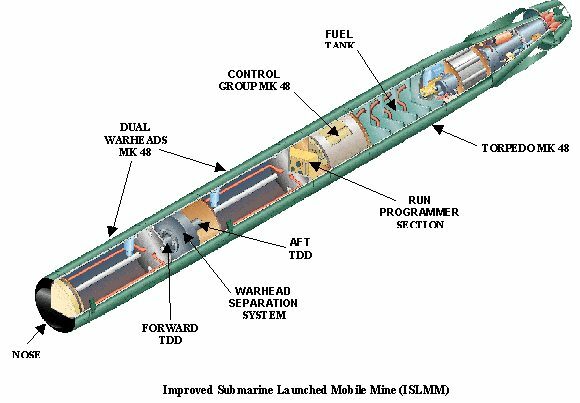 Each warhead may be dropped in a separate location, allowing ISLMM to attack two separate targets. ISLMM fits into any standard 21 inch (53.3 cm) torpedo tube and may be launched from any submarine so equipped. Drifting Mines were intended to be launched by surface ships or submarines against a pursuing enemy ship. Mark 1 through Mark 6 were designed between 1915 and 1925. Mark 7 was designed in 1942. Total weight of 232 lbs. (105 kg). 16 x 30.5 inches (41 x 77 cm). Could float for one hour using buoy suspension. Two mines could ride the same bridle. Used K-pistol and M-1 magnetic device. Used Mark 6 casing. Mark 6 mine suspended 35 feet (10.7 m) below the surface. In service 1923. Fired from 21 inch (53.3 cm) torpedo tube. Used K-2 pistol. About 100 were made. Designed specifically for the 40 inch (102 cm) mine tubes on the USS Argonaut (SS-475). Used a modified Mark 5 mine case. In service 1924. Shaped like a depth charge and could be launched from those racks. 700 lbs. (318 kg) total weight and 362 lbs. (164 kg) TNT charge. Similar to drifting Mark 3. 523 lbs. (237 kg) TNT charge. Mod 1 oscillated and was replaced by Mine Mark 19. Designation assigned in 1942. Destructor mines (DST) were developed during the Vietnam War. 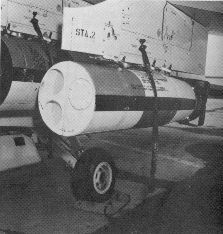 These were Mark 80-series GP bombs converted to mines by the addition of mine-type arming, detection and filling systems. They differ from conventional sea mines in that they can be used against land targets as well as sea targets. The Mark 36, 40 and 41 Destructors were respectively the Mark 82 [500 lbs. (227 kg)], Mark 83 [1,000 lbs. (454 kg)] and Mark 84 [2,000 lbs. (907 kg)] bombs. Arming, detection and firing were common to all three types. The following description is from "Naval Weapon Systems 1991/1992:"
Different Mods indicate different firing mechanisms: Mod 3 is magnetic, - Mod 4 is magnetic/seismic; and Mods 5, 6, and 7 are magnetic/seismic with K Tab Capability [Ed Note: This may be a mis-type for K Type Capability]. As disclosed to the North Vietnamese in 1973 (as part of Operation End Sweep), the DST magnetic sensor is a thin-field magnetometer with selectable sensitivity. The seismic sensor is described officially as a detection battery. Presumably, it activates the magnetic sensor, so the mine cannot be exploded by a pure magnetic field. Destructor Mk 36 was developed beginning in August 1966, and the first deployment was in June 1967. Mods 0 and 1 require retarded delivery; Mods 2 and 3 can be delivered unretarded against land targets. Mod 0 has fixed arming delay and fixed self-destruct. Mod 1 has selectable arming delay and introduces a probability actuator. Mod 2 has selectable self-destruct as well as selectable arming delay and probability actuator, and it is suited to unretarded delivery. Mod 3 adds a sensitivity option for increased countermeasures resistance. The arming delay al-lows the weapon to become physically stable in the presence of water currents and wave action and hence allows its firing mechanism to become magnetically stable. Destructor Mk 40 was developed in 1968 for greater damage effectiveness against land targets. Mods 2 and 3 may be dropped unretarded against land targets using conical fins like those of Mk 36 Mods 2 and 3. The bomb modification kit is Destructor Modification Kit Mk 75. The original program called for 22,125 kits in FY67 and 20,250 for FY68, but in July 1967 the program was increased to 111,865 kits and in November 1967 to 148,998; by 1970, over 300,000 had been made. Destructors Mks 36 and 40 development ended in FY70, effort switching to Mks 41 and 42 (Quickstrike) following recommendations of the NOL Minetech study, Mine Advisory Committee Nimrod study, and an Op-95 ASW R&D assessment. 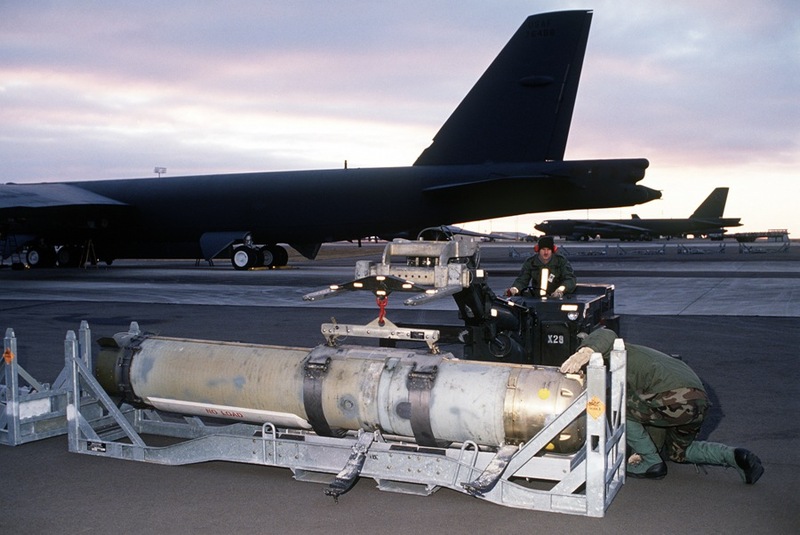 There is also a Destructor M117D Mk 59-0 (1985), which uses the standard air force 750-lb bomb, with Arming Device Mk 32-1, battery, and firing mechanism Mk 42-4; the total weight is 857 lb. It is intended for minelaying by B-52s. Other Destructor Mark numbers were assigned to self-destruction charges. The Destructor designation for these bomb conversions were probably intended as a security cover for what was a secret program during the war.